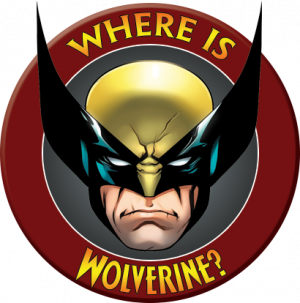 Marvel Comics Legacy and Captain America #697 Spoilers for Where’s Wolverine Part 1 follows. 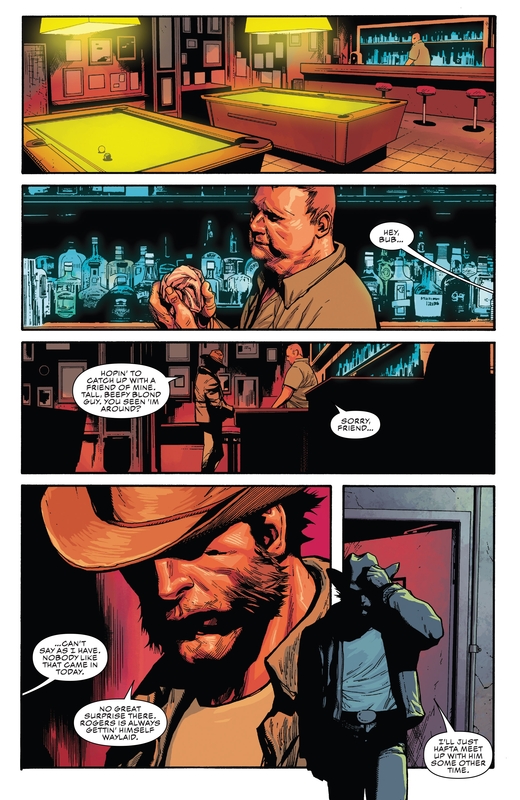 The classic Wolverine is back and he has an Infinity stone / gem with him. 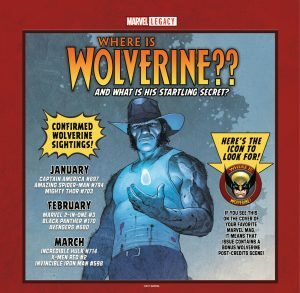 Marvel will have pop in the back of a few titles over the next months as noted in the Where’s Wolverine checklist. 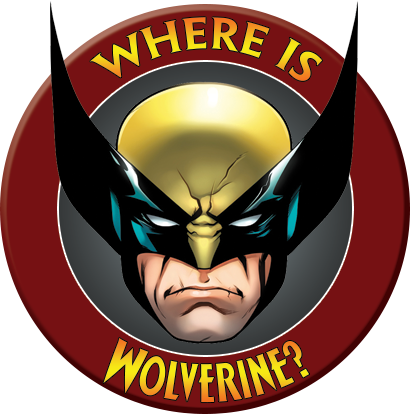 The cover of the book in question will have the Where’s Wolverine icon logo on it. Part 1 of Where’s Wolverine was in Captain America #697. 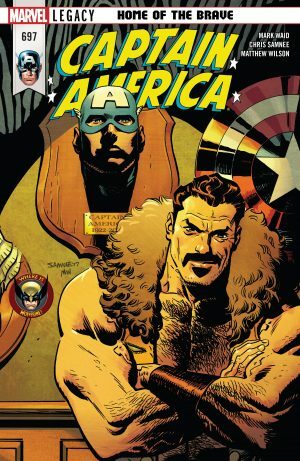 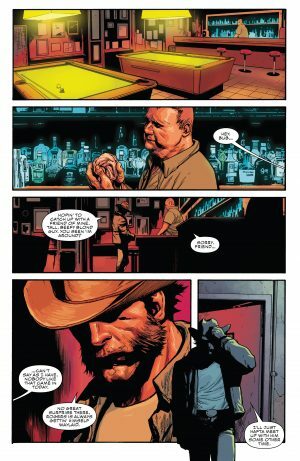 Wolverine goes to the bar where Captain America was abducted by Kraven the Hunter in during the core part of the issue (full spoilers here), but naturally Cap is gone. 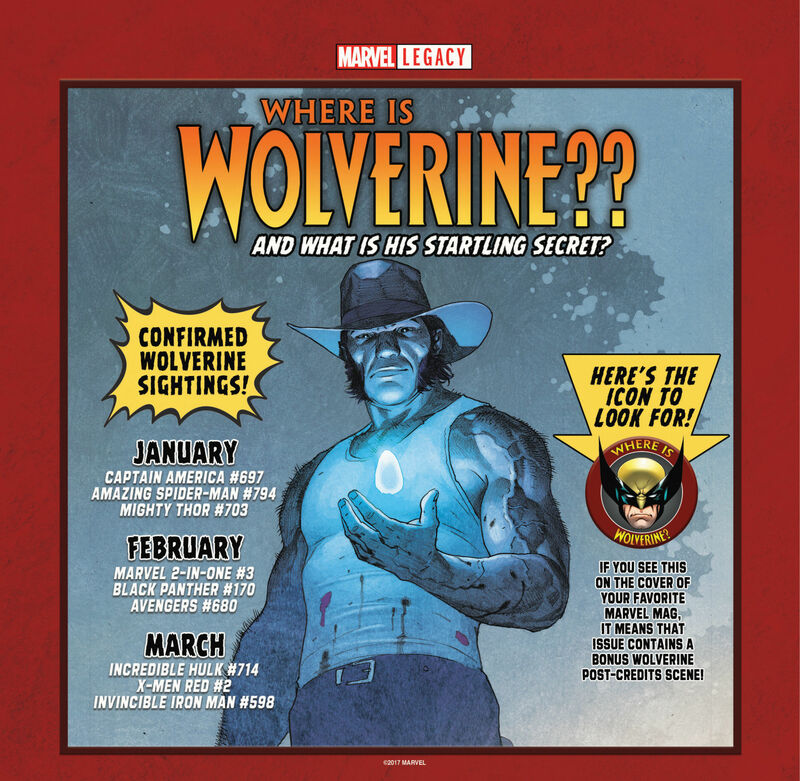 That is the one page on Where’s Wolverine Part 1.